Home 2018 Africa Magic Viewers Choice Awards 2018 AMVCA Adjetey Anang Entertainment Lydia Forson Ghana’s Lydia Forson And Adjetey Anang Win From 2018 AMVCA: Check Full List Of Winners From Here! Ghana’s Lydia Forson And Adjetey Anang Win From 2018 AMVCA: Check Full List Of Winners From Here! Ghanaian actress Lydia Forson and actor, Adjetey Anang came out victorious at the 2018 Africa Magic Viewers Choice Awards (AMVCA) held in Nigeria. The ceremony took place at the Convention Centre of the Eko Hotel and Suites in Nigeria. The event which was hosted by South African media personality, Minnie Dlamini-Jones and Nigerian on-air-personality, IK Osakioduwa was shown LIVE on all Africa Magic channels on DStv and GOtv. 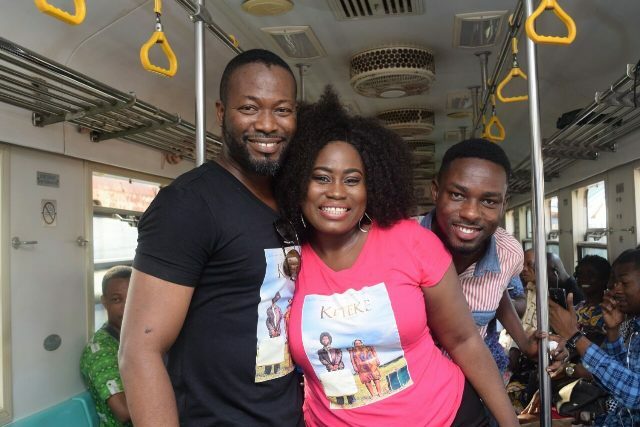 Lydia Forson walked away with the Best Supporting Actress for her performance in the Nigerian romcom-ISOKEN while Adjetey Anang won Best Actor in Drama for his performance in Keteke.